The Ultimate All-night Halloween Party! Take Halloween to new heights at this all-night party held 35 floors above the London streets. The Sky Garden will be transformed into a deadly disco with live music from The Soul Jets kicking off the evening and DJs spinning tracks into the witching hour. A range of Halloween themed food and drinks will be on the Sky Pod Bar’s menu and make-up artists will have their brushes ready to revamp you into your Halloween character – there’s a bottle of champers up for grabs for the best dressed. This year, Sky Garden’s annual Halloween party will be bigger and better than ever before. In suitably spooktacular style, it is time to don your best fancy dress costume for the ultimate sky high Halloween celebration. 35 floors above London, Sky Garden will be transformed into a haunted destination filled with hell-raising, live music, freakishly fabulous cocktails and late-night dancing. With a pre-party in City Garden Bar from 6-8pm, the DJ will take to the deck to start the party early, whilst make-up artists will have their brushes at the ready to revamp you into your Halloween character of choice with a drink in hand. Overlooking the best views in town, the party will be well under way from 8pm as sing-along tunes from the Katie Holmes band and 9-piece band Soul Jets fill the air. As this paranormal party continues into the early hours, resident late-night DJ Joel will be welcomed to the stage to take the tunes into the dead of the night. 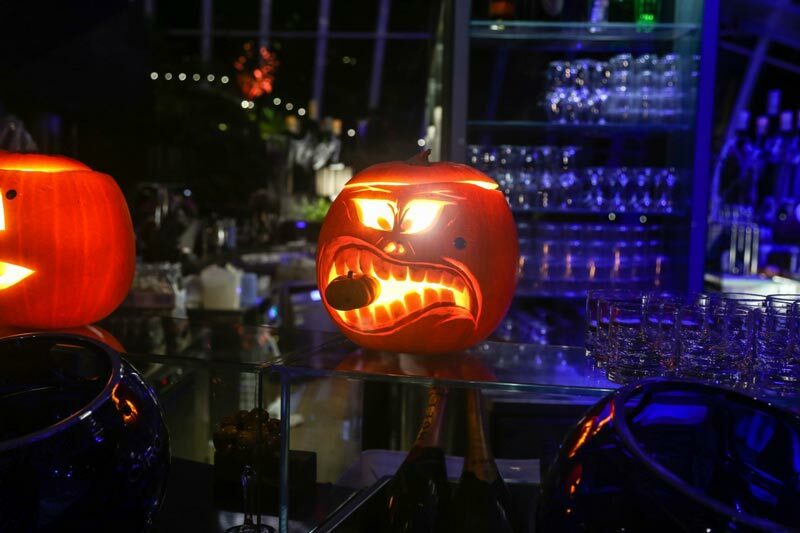 Delicious food and tempting drinks will be available throughout the evening, from ghostly-themed cocktails to late night menus of feasting bites. In your finest Halloween attire, be in with a chance of being named Sky Garden’s ‘Best Dressed’ to win a bottle of Champagne to enjoy during the evening. For table bookings of groups of 5 or more please contact groups@skygarden.london, and the team will be more than happy to assist with your query. For more information, please visit Sky Garden. New Cross Inn Hostel is only 20 minutes away, by car, from the Sky Garden. We are ready to host you while you are in town for this event. To check availability, please click here.